Diversity of thought and a willingness to challenge group think are essential aspects of diversity, particularly in financial services. This year, the Banking Standards Board published the findings of its annual assessment exercise conducted with 22 member firms and generating 28,000 responses. One-third of those surveyed said that people in their organisation become defensive when their views were challenged, nearly three in ten employees across all firms would be worried about the negative consequences for them if they raised concerns about the way the firm worked, and one in seven do not feel comfortable challenging a decision made by their manager. 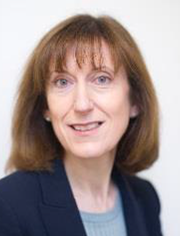 This breakfast is an opportunity to gain insight from Alison Cottrell, CEO of the Banking Standards Board on the survey findings and put your questions to her as well as your peers. The event is likely to be attended by people with a range of roles from operations to HR. To read the full annual review of the Banking Standards Board, click here.